The mohair rug by Hay provides cuddly warm moments on cold autumn days and with its striped pattern in warm colours fits perfectly in any interior. The blanket measures 120 x 180 cm and is made of 70% mohair and 30% merino wool. The luxurious wool blend and the thick, tufted texture in contrasting stripes create a blanket that is soft and decorative at the same time. The fringes at the ends additionally provide a beautiful, playful detail. The blanket is available in various patterns and colours to fit any sofa or armchair. 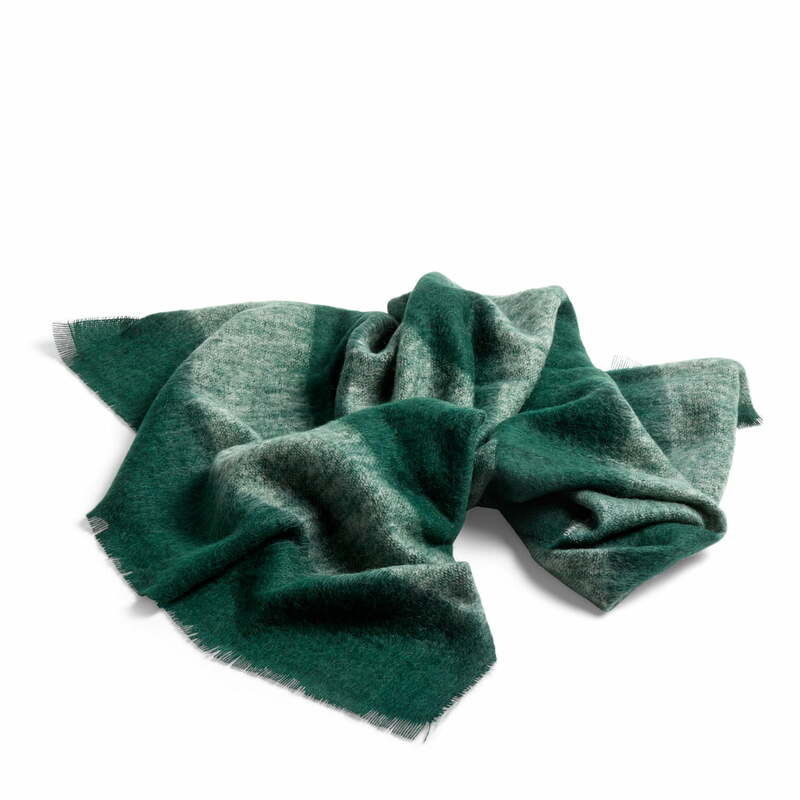 Mohair blanket 120 x 180 cm from Hay in green. The luxurious wool blend and the thick, tufted texture in contrasting stripes create a blanket that is soft and decorative at the same time.